What is the ‘best’ style for fighting? There’s no ‘best’ fighting style as much as there’s a ‘best’ neighborhood of Manhattan… Each individual style has different strengths and applications. For example take Brazilian Jiu Jitsu ( BJJ ) and Muay Thai ( MT ). Both are esteemed and elegant martial arts, but BJJ, for example, features a lot more grappling than Muay Thai (which is more of a strike based discipline). Ultimately it’s a matter of personal preference. Whether you prefer ground or upright fighting, grappling or strikes, our staff will help you discover what works best for you. 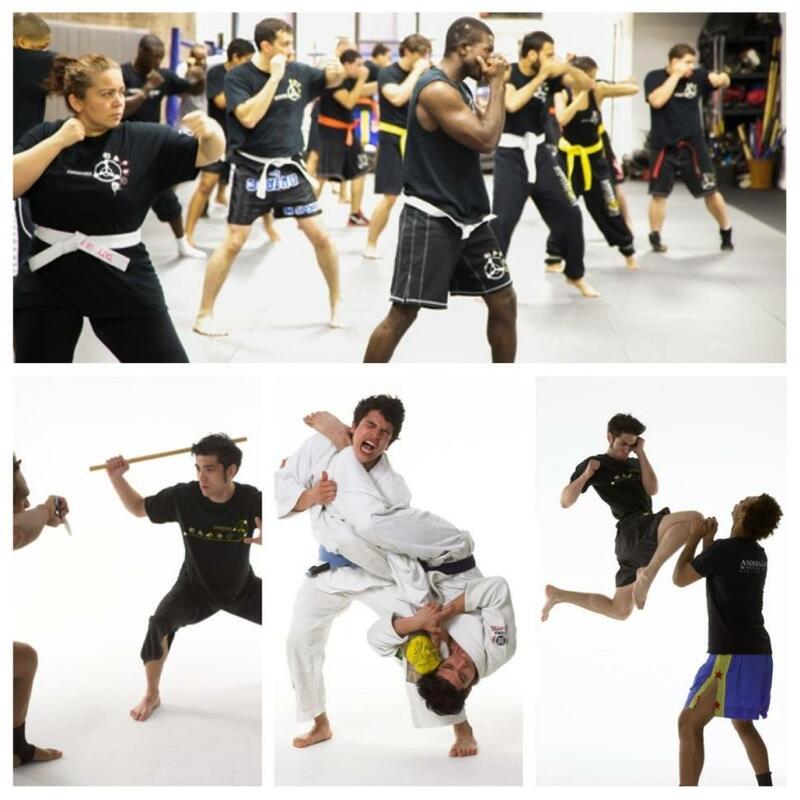 Alternatively, why not also try a mix of styles with our Mixed Martial Arts ( MMA ) course – one of the longest running MMA courses in New York City! Mixed Martials Arts has been around in various different forms for centuries- an early form of MMA existed as an olympic sport in Ancient Greece, known as Pankration. However modern MMA fighting’s origins remains a much disputed topic. The consensus is that it started out as the Brazilian sport Vale Tudo, popular in the 1920s before coming to more mainstream attention through Bruce Lee’s own perfection of the art- Jeet Kune Do ( JKD ). This style remains at the centre of our philosophy and teaching at Anderson’s Martial Arts Academy to this very day. I don’t have any experience with martial arts? Can I still join one of your classes? No problem. Everyone needs to start somewhere and our academy’s courses are suitable for everyone! Yes! Everyone! Regardless of age, gender, or experience we’re certain you’ll feel both comfortable and confident at AMAA. Still not convinced? Feel free to come down and visit the school or even book a free introductory session to get a taste of what to expect! I want to train for UFC. Where do I start? Woah! Steady there! Becoming a cage fighter in the UFC takes dedication, time and an awful lot of work! BUT if this is something you have your heart set on, then joining our MMA course or mastering one of our individual styles is a great place to start. Good luck!